We are looking for a great all-round C++ software engineer to complement our team. Prodim International manufactures the self-developed and patented Proliner: a portable digital measuring tool that can be used to measure 2D or 3D objects such as doors, stairs, kitchens, windshields, boat decks, etc. Measurements can be edited and verified on the Proliner using the integrated touch screen, before being exported either for use by production (CNC) machines or for further processing in our desktop software. The Prodim Factory software runs on Windows and allows users to edit and check measurement data, design end-products, estimate production costs, manage material stock and schedule production activities. Prodim aims to provide complete digital templating solutions that help our customers to run their business competitively in a digitizing world. To achieve this, we continuously develop our industry software solutions to solve technical complexities and provide our users with an easy-to-use interface for their everyday activities. Besides the Proliner and Factory software, we develop supporting tools, such as mobile apps and web API and back-ends to provide an integrated solution. Prodim offers an informal working environment with a flat hierarchy, where skill, creativity, enthusiasm and quality work are appreciated. As a software engineer you will design, develop and maintain technically complex cross-platform software libraries and user-friendly applications, mostly using C++ and Qt, sometimes using PHP, HTML, SQL, Java and Python. You will work in a small team of skilled developers and collaborate directly with colleagues from other departments as the work requires. You will be able to strengthen and broaden your programming skills. We expect you to be pragmatic, self-reliant and responsible for the end-product you contribute to. A multifaceted function within a motivated company in which people collaborate in an informal way. An organization that is constantly developing with lots of ambition and a promising future. A place where your talent and qualities are appreciated. Standard working conditions. We would like to receive your Curriculum Vitae as soon as possible, but no later than Friday the 26th of April. 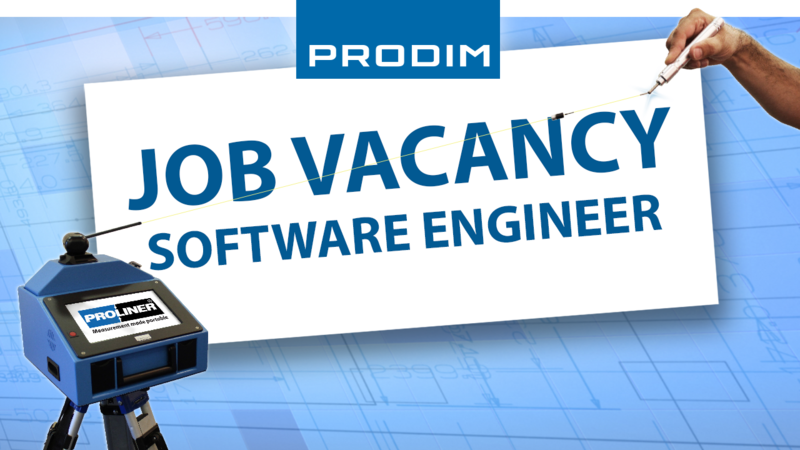 You can send your application to Mrs. P. Teune: p.teune@prodim-systems.com.